Ancient DNA recovered from fossils is a valuable tool to study evolution and anthropology. Yet fossil DNA has not been found yet in any part of Africa, where it’s destroyed by extreme heat and humidity. In a potential first step at overcoming this hurdle, researchers at University of California San Diego School of Medicine and the Stony Brook University-affiliated Turkana Basin Institute. have discovered a new kind of glycan — a type of sugar chain — that survives even in a 4 million-year-old animal fossil from Kenya, under conditions where ancient DNA does not. While ancient fossils from hominins are not yet available for glycan analysis, this proof-of-concept study, published September 11, 2017 in Proceedings of the National Academy of Sciences, may set the stage for unprecedented explorations of human origins and diet. Glycans are complex sugar chains on the surfaces of all cells. They mediate interaction between cells and the environment, and often serve as docking sites for pathogens. For millions of years, the common ancestors of humans and other apes shared a particular glycan known as Neu5Gc. Then, for reasons possibly linked to a malarial parasite that exploited Neu5Gc as a means to establish infection, a mutation that probably occurred between 2 and 3 million years ago inactivated the human gene encoding the enzyme that makes the molecule. The loss of Neu5Gc amounted to a radical molecular makeover of human ancestral cell surfaces and might have created a fertility barrier that expedited the divergence of the lineage leading to humans. Today, chimpanzees and most other mammals still produce Neu5Gc. In contrast, only trace amounts can be detected in human blood and tissue — not because we make Neu5Gc, but, according to a previous study by Varki’s team, because we accumulate the glycan when eating Neu5Gc rich red meat. Humans mount an immune response to this non-native Neu5Gc, possibly aggravating diseases such as cancer. In their latest study, Varki and team found that, as part of its natural breakdown, a signature part of Neu5Gc is also incorporated into chondroitin sulfate (CS), an abundant component in bone. They detected this newly discovered molecule, called Gc-CS, in a variety of mammalian samples, including easily detectable amounts in chimpanzee bones and mouse tissues. Like Neu5Gc, they found that human cells and serum have only trace amounts of Gc-CS — again, likely from red meat consumption. The researchers backed up that assumption with the finding that mice engineered to lack Neu5Gc and Gc-Cs (similar to humans) had detectable Gc-CS only when fed Neu5Gc-containing chow. Curious to see how stable and long-lasting Gc-CS might be, Varki bought a relatively inexpensive 50,000-year-old cave bear fossil at a public fossil show and took it back to the lab. Despite its age, the fossil indeed contained Gc-CS. That’s when Varki turned to a long-time collaborator — paleoanthropologist Meave Leakey of TBI. Knowing that researchers need to make a very strong case before they are given precious ancient hominin fossil samples, even for DNA analysis, Leakey recommended that the researchers first prove their method by detecting Gc-CS in even older animal fossils. To that end, with the permission of the National Museums of Kenya, she gave them a fragment of a 4-million-year-old fossil from a buffalo-like animal recovered in the excavation of a bone bed at Allia Bay, on the east side of Lake Turkana. 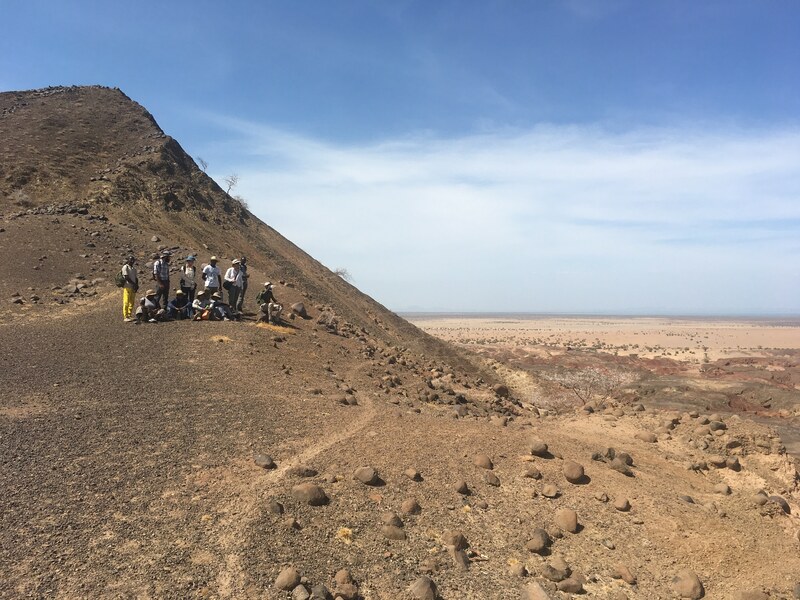 Hominin fossils were also recovered from the same horizon in this bone bed. 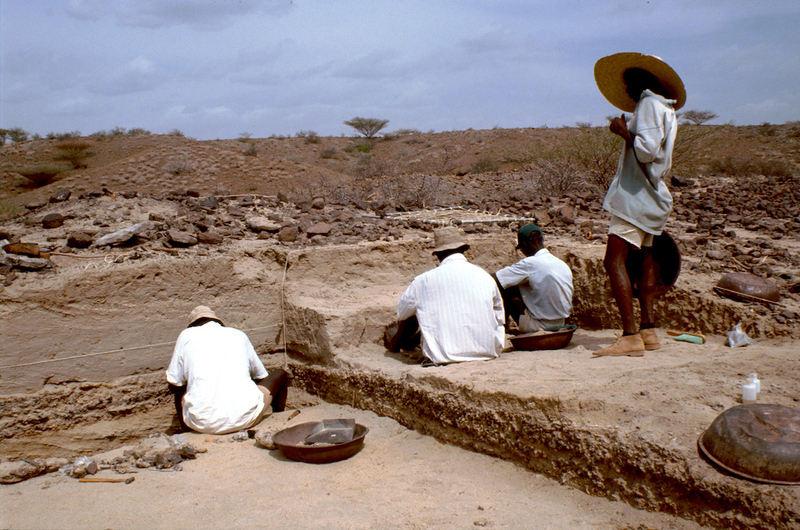 The excavation of the bone bed at the Allia Bay site, 261-1, East Turkana, in 1996. A cross section of the bone bed can be seen passing diagonally from the centre of the image to the right hand corner. Varki and team were still able to recover Gc-CS in these much older fossils. 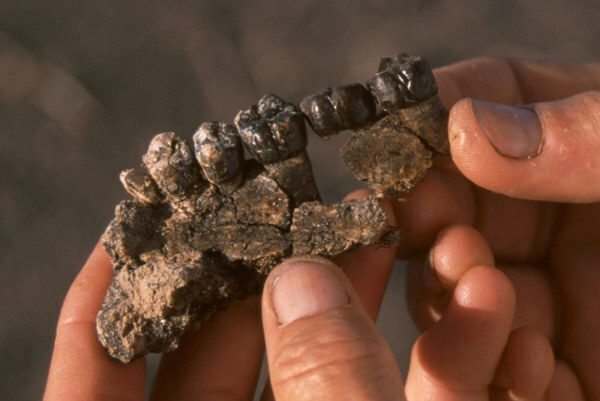 If they eventually find Gc-Cs in ancient hominin fossils as well, the researchers say it could open up all kinds of interesting possibilities. 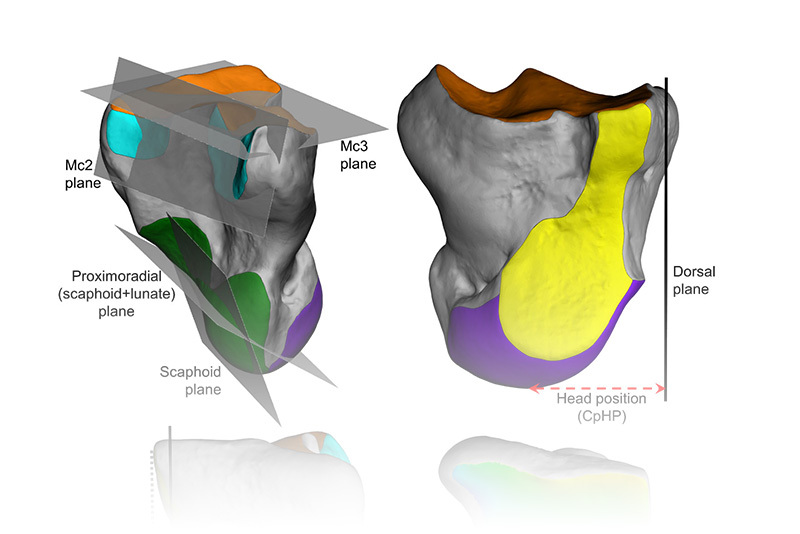 “Once we’ve refined our technique to the point that we need smaller sample amounts and are able to obtain ancient hominin fossils from Africa, we may eventually be able to classify them into two groups — those that have Gc-CS and those that do not. Those that lack the molecule would mostly likely belong to the lineage that led to modern humans,” said Varki, who is also adjunct professor at the Salk Institute for Biological Studies and co-director of the UC San Diego/Salk Center for Academic Research and Training in Anthropogeny (CARTA). In a parallel line of inquiry, Varki hopes Gc-CS detection will also reveal the point in evolution when humans began consuming large amounts of red meat. Leakey is also hopeful about the role Gc-CS could play in the future, as an alternative to current approaches. This research was funded, in part, by the National Institutes of Health and the Mathers Foundation of New York. The excavation of the Allia Bay bone bed was funded by the National Geographic Society. Meave Leakey is Director of Field Research at TBI, Research Professor at Stony Brook University’s Department of Anthropology, and co-leader of the Koobi Fora Research Project. This release was adapted from materials provided by Heather Buschman, University of California at San Diego.